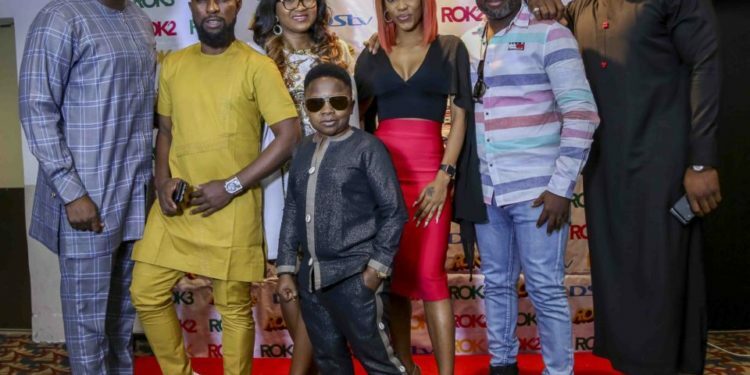 Mary Njoku, CEO of ROK Studios, alongside superstar Nollywood friends Desmond Elliot, Bolanle Ninalowo, Chinedu Ikedieze, Efe Irele and Annie Idibia have just completed the ROK ME Lagos Tour. This comes after the stars have been on a whistlestop tour of South Africa, Zambia and the UK, connecting with fans and Nollywood lovers across Africa and the diaspora. The exclusive event, which took place on the 11th of April at Sheraton Hotel Ikeja Lagos, welcomed celebrities, members of the press, and Nollywood fans, who got the opportunity to mix and mingle with their favorite stars over light food and drinks. As a TV channel, ROK reaches 13.5 million subscribers across DSTV and GOTV platforms in Africa alone. In the UK it reaches 12.5M viewers. Producing over 540 movies and 25 original TV series including Ojukwu, Stalemate, and Being in Nollywood, amongst others, the ROK brand is one of the most prolific production houses in Nollywood. ROK channels are 24 hours of amazing Nollywood & Ghanaian movies, TV Shows and Music. ROK’s unique approach to African storytelling has driven high growth in key content areas, resulting in the demand to launch channels around the specific content genres. Fans can join in the fun and keep up to date with activities via ROK social media platforms – Facebook, Twitter and Instagram, and register to attend activities here. For further information, images or interview requests with Mary Njoku + #ROKMETour stars, contact Towsyn Omowole – towsyn@wimbart.com of Wimbart. ROK Studios launched in 2013. ROK Studios is a leading African film and television studio and production house based in Lagos, Nigeria. They specialize in the creation of content in partnership with the industry’s foremost creative talent. Rok has developed, produced and financed film and TV series for distribution platforms globally. ROK owns one of the larger content libraries in Nigeria, with blockbuster films and series, as well as an Animation Studio called ROK Animations Studios.